This was my first official cake smash and boy was it fun! We set out the precious cake that his mommy actually made, and let this fella go to town. At some moments, he was more interested in my lens than the cake(and he’s a quick crawler! ), but he did end up pretty covered in blue icing. 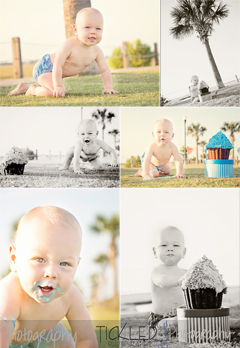 I hope you cherish these photos of that adorable little boy! Lots more cake in his future, I’m sure!